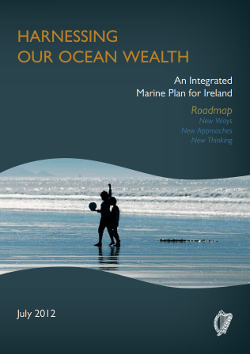 Harnessing Our Ocean Wealth - An Integrated Marine Plan for Ireland was published by the Government in 2012. The Plan is an initiative of the Inter-Departmental Marine Coordination Group, chaired by Mr. Michael Creed TD., Minister for Agriculture, Food and the Marine. details of the annual conference and associated events. In Ireland, responsibility for marine matters is spread across a number of Government Departments and agencies. In recognition of the need for better coordination and the broad scope of the sector, the Inter-Departmental Marine Coordination Group (MCG) was established in 2009. The Group meets monthly, bringing together representatives of departments with an involvement in maritime/ marine issues to discuss/coordinate issues that require inter-departmental action. The Group is convened by the Department of the Taoiseach. The Maritime Affairs Attaché, Attorney General’s Office and the Marine Institute also participate. 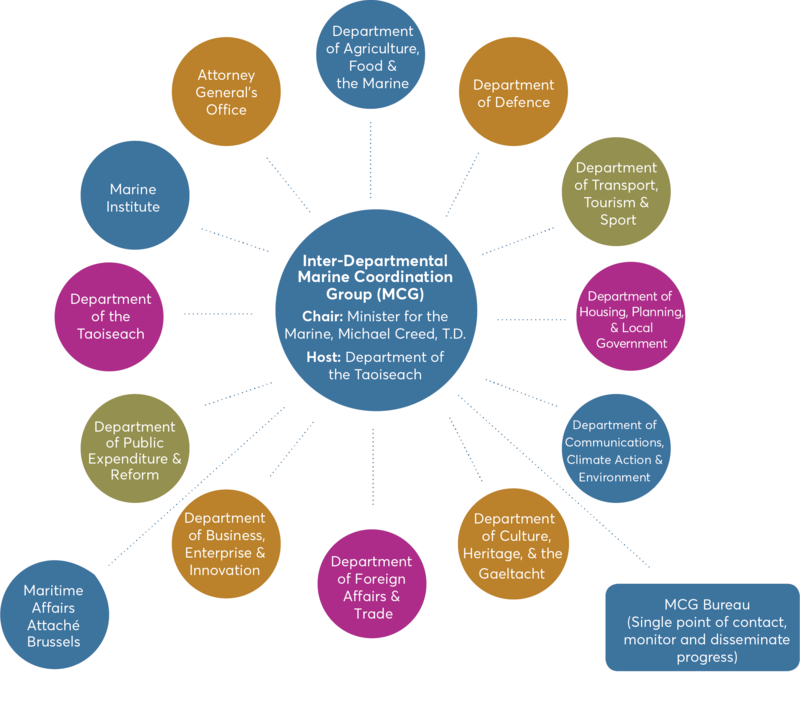 The Marine Coordination Group is responsible for supervision, cross-government delivery and implementation of Ireland’s Integrated Marine Plan.